The Fraser Coast Region is among the jewels of Queensland. While most people immediately think of world-renowned Fraser Island, our stunning beaches, or magnificent national parks, our CBD is set to become a great place for doing business! Recently, the Fraser Coast Regional Council launched a new masterplan for the redevelopment of the Hervey Bay business district. The plan has been developed to guide the growth and improvement of the CBD over the next 15-20 years. The plan envisions that by the year 2035, the Hervey Bay CBD will be an attractive and vibrant centre. It will attract business and investment that will contribute to the prosperity of the region as a whole. The plan accommodates a variety of uses and activities, all set within a walkable and green public area. The new CBD will be the region’s primary destination for commercial enterprise, cultural activities, education and training facilities, social recreation and shopping. The plan seeks to create a casual, yet sophisticated, area that’s connected to the foreshore and complimentary to other town centres across the region. The plan also includes improvements to parklands, a luxury hotel and an ‘Eat Street’ precinct with outdoor-style eateries. After a number of years of planning, in October 2018, the local council gave the green light for the development of the first stage of the town centre revamp, including the new administration centre, which is currently out for tender. 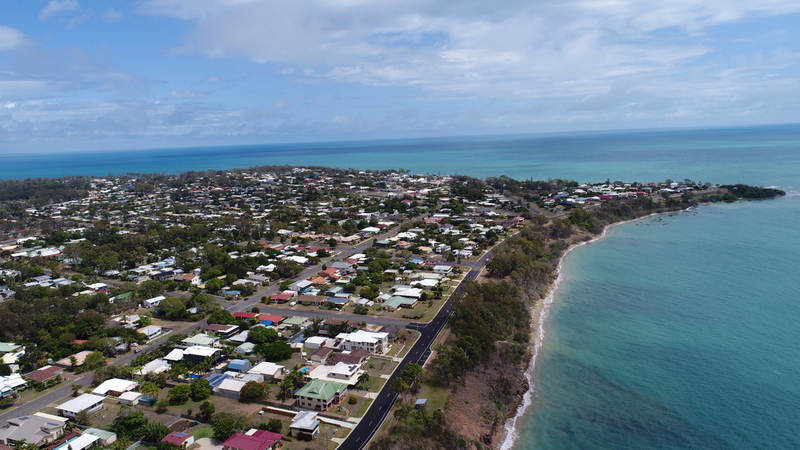 The revitalisation of Hervey Bay’s CBD will give a further boost to economic activity and generate greater interest in living in the local area. The recent $25 million development of “The Springs” housing estate has already shown that demand for real estate in the Fraser Coast Region is strong, with over half the properties already sold. The key to making a CBD an integral part of driving economic growth, is to make them places where people can meet with ease, whether for business or pleasure. Associate Professor Matthew Burke from Griffith University says CBDs need to be walkable as this influences the way business is conducted. The more people meet and work in cafes and shared workplaces, the more local economies flourish as growth is dependent on sharing ideas and information. Hervey Bay’s new CBD at Pialba incorporates the elements needed to be a successful business centre, all of which should boost the local economy and help drive real estate prices higher. If you’re thinking of buying property in Hervey Bay or the surrounding region, speak to us at Mitchells Realty. We have properties to suit every buyer and budget. With the new, revitalised CBD and greater economic activity coming to the region, now’s a great time to look at buying property in Hervey Bay!